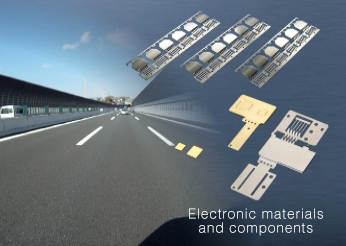 Aichi Steel's core technologies in soft magnetic and non-magnetic stainless steel have also given us strengths in material technologies, magnetic technologies and surface treatment technologies, which combined have been developed in our electromagnetic component business covering four key areas: sensors, magnets, dental and electronic components. 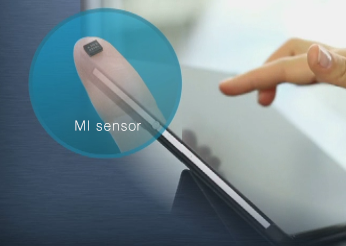 Our small magnetic sensors feature high performance and sensitivity utilizing the magnetic impedance phenomena. 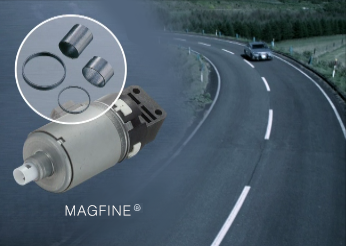 Our Anisotropic Nd-Fe-B resin bonded magnets have world leading 25MGOe magnetic force and 150 degree heat resistance. These contribute to the construction of smaller motors. 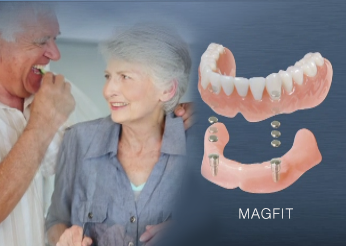 These small and powerful magnets for fastening dentures also feature excellent corrosion resistance. More than 2.5 million units of this product are used around the world. Using metal surface custom treatments and non-ferrous metal press technologies, we manufacture heat radiating parts for automotive electronics and a variety of functional coated parts for binding.